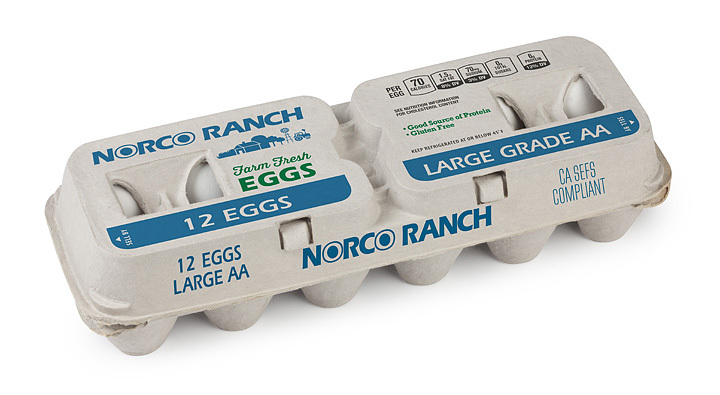 This popular egg type is typically laid by a beautiful all-white chicken breed called the White Leghorn. 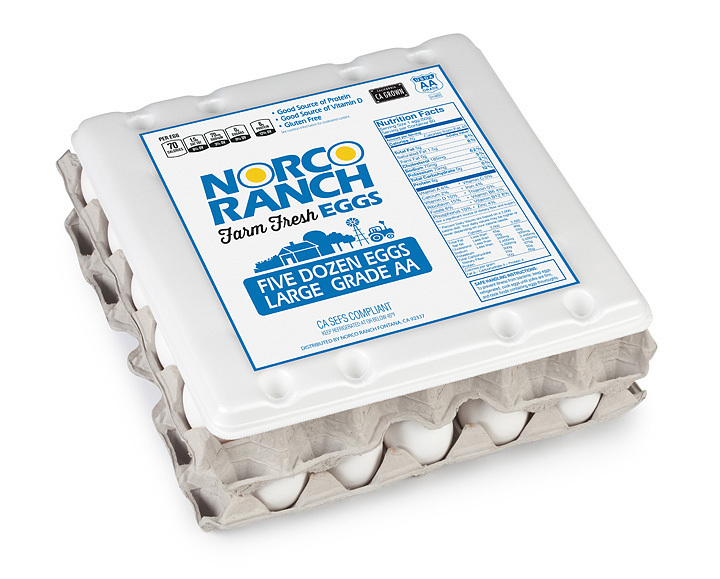 High in nutritional value, our popular white egg brands include Norco Ranch and Farmer's Gems. We also pack and distribute many store brand labels sold in Southern California. 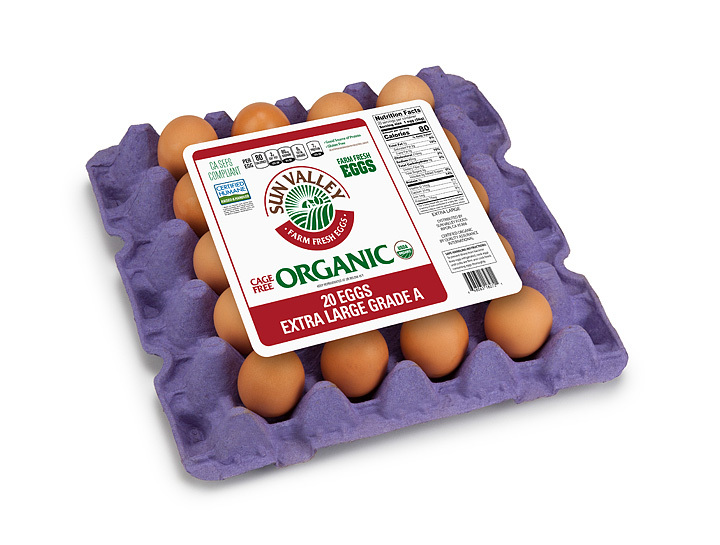 Certified Organic eggs are laid by cage-free hens with access to the outdoors and are raised on 100% certified organic vegetarian feed from the day they are born. The feed is grown on land free of synthetic fertilizers, pesticides, and herbicides for at least 3 years. 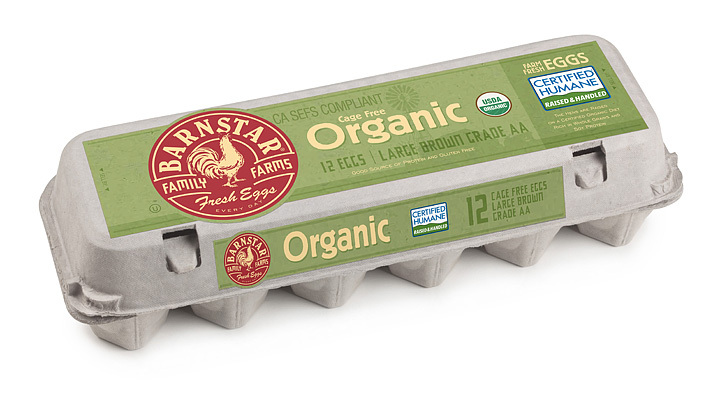 An independent company certifies that all California State Organic and U.S. Department of Agriculture requirements are met. Cage Free eggs are laid by hens kept in spacious barns where they can roam, scratch, perch and nest as they please.